C. Ma, J. Cao, *Y. Qiao (2012), Polynomial Method Based Design of Low Order Controllers for Two-Mass System, IEEE Transactions on Industrial Electronics Vol. 60, No. 3, pp. 969-978, March 2012. C. Ma, M. Xu, *H.Wang (2011), Dynamic Emulation of Road/Tire Longitudinal Interaction for Developing Electric Vehicle Control Systems, Vehicle System Dynamics, , Vol. 49, No. 3, pp. 433-447, March 2011. J. Cao, C. Ma, H. Xie, Z. Jiang (2010), Nonlinear Dynamics of Dufﬁng System with Fractional Order Damping, ASME Journal of Computational and Nonlinear Dynamics, Vol. 5, October 2010. C. Ma, Y. Hori (2007), Fractional-Order Control: Theory and Applications in Motion Control, IEEE Industrial Electronics Magazine, Vol.1, No.4, pp. 6-16, Winter 2007. C. Ma, X. Zhu, *M. Fu (2011), Wireless Charging of Electric Vehicles: A Review and Experiments, ASME 2011 International Design Engineering Technical Conferences and Computers and Information in Engineering Conference, Aug. 28–Aug. 31, 2011, Washington D. C., USA. C. Ma, Y. Hori (2004), Time-domain Evaluation of Fractional Order Controllers’ Direct Discretization Methods, IEEJ Transactions on Industry Applications, Vol. 124, No. 8, pp. 837-842, 2004 (IEEJ: The Institute of Electrical Engineers of Japan). C. Ma, Y. Hori (2004), Backlash Vibration Suppression Control of Torsional System by Novel Fractional Order PIDk Controller, IEEJ Transactions on Industry Applications, Vol. 124, No. 3, pp. 312-317, 2004. C. Ma, Y. Hori (2004), The Application of Fractional Order Control to Backlash Vibration Suppression, American Control Conference, June 30–July 2, 2004, Boston, Massachusetts, USA. C. Ma, Y. Fujii and K. Yamaji (2002), China’s electric power sector’s options considering its environmental impacts, Environmental Economics and Policy Studies, Springer-Verlag Publisher, Vol. 5, No.4, pp. 319-340, 2002. Co-editor, Special Section on “Information and Control in e-Transportation”, IEEE Transactions on Industrial Informatics. 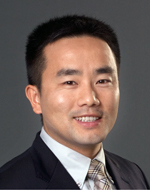 Keynote Speaker, Wireless Power World Summit 2012, Sep. 12-13th, 2012, Shanghai, China. Keynote Speaker, The 1st and 2nd China International New Energy Vehicles Forum, 2012-2013, Shanghai, China. Expert Reviewer, IEEE Transactions on Industrial Electronics, IEEE Transactions on Mechatronics, ASME Journal of Computational and Nonlinear Dynamics, etc.